Apple has been in the news a lot recently due to the many Lawsuits they have filed against several different Android phone manufacturers. Apple has filled lawsuits based on Patent infringement; they believe that most Android Smartphone manufacturers have copied the design of the iPhone. The number of patent lawsuits has increased by 25% in the last 6 years. This means more companies are spending millions of dollars every year to file or defend patent lawsuits. The only people who lawsuits help are the lawyers that make hundreds of thousands of dollars with these suits. 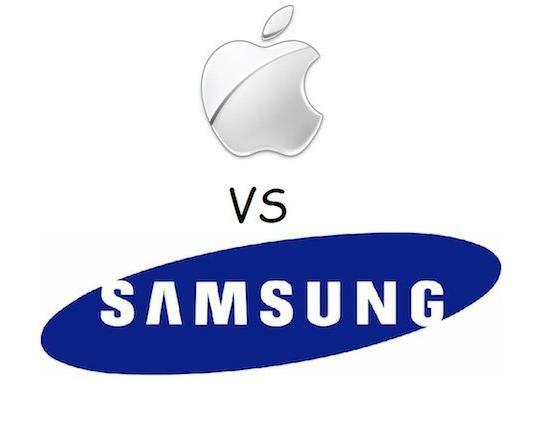 Companies are only suing other companies to keep their share of the market and make more money, but there are many other things that these companies can do to get consumers to buy their products.The case being fought in court right now is between Apple and Samsung over the charge that Samsung has infringed on Apples patents for the iPhone. Apple is suing over design and utility patents they have for the iPhone and iPad. Apple is stating that Samsung took the design and functionality of the iPhone and iPad used it to create the Samsung Galaxy Nexus and Galaxy Tab 10.1. Apple successfully got the court to place a ban on both the Galaxy Nexus and Tab 10.1 from being sold in the U.S. The ban has been stayed while the case is being heard but if Samsung loses the case it would mean they would have a hefty fine and have to change the phone and tablet designs and functionality before being able to sell those products in the U.S. Apple has told Samsung they will settle the lawsuit if Apple is paid $30 for every Galaxy Nexus sold and $40 for every Galaxy Tab sold. This was not surprisingly turned down by Samsung because that amount for each device would most likely makeup their profit margin on the devices. The trial so far has been very contentious with both sides making several unreasonable claims and motions. The one thing that the trial has gotten is requiring both companies to release of the companies financials. The trial is coming to a close and no matter the winner the Smartphone market will see a significant change and consumers will be on the losing end. So with the several lawsuits by Apple the question that most people ask is why? Apple would say that the lawsuits are because they are being financially hurt by the patent infringements that have been done by Smartphone manufacturers. Even though that may be true here is a list of real reasons for the lawsuits. With the case coming to an end we will find out soon if there was patent infringement by Samsung. No matter what the outcome will be there is one thing that is certain the users and consumers will be hurt by the verdict. If Apple wins that would most likely mean bans on several Samsung devices along with a hefty fine. If Samsung wins that means Millions of dollars wasted and a counter suit by Samsung. I understand wanting to protect your company against stealing your idea but when you make a device that completely changes the market and technology other companies are going to take that idea and build on it because it is cool. The reason consumers will lose is that will mean that Smartphone prices will be higher to cover the cost of the fines and the trial. Also it will reduce the design possibilities available to Smartphone manufacturers which will mean Smartphones will have to have completely different designs to not get sued and that just isn’t possible. The findings in this trial will long-lasting effects on the market and manufacturers. 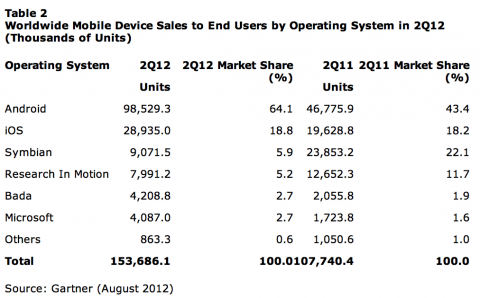 I do not consider myself an Android or Apple fanboy; I own an iPad and a Galaxy Tab 10.1 as well as a Galaxy Nexus. I enjoy all three devices and each one has its purpose for me. I find myself rooting against Apple in this case just because what it would do to Smartphones if they won. Apple is a company with great ideas and they will continue to be a top company in technology for a long time. I just don’t see how lawsuits against many different Smartphone companies will help them. Apple has managed to piss off most tech people and still get credit from them for creating a device that changed technology. I have a suggestion for all Smartphone companies; stop with the Patent lawsuits all the companies are trying to do the same thing and lawsuits hurt the one demographic you are trying to reach customers. Instead of accusing other companies stole your ideas to get customers, state why you devices are better, or do something really crazy like develop a market changing device and then you won’t have to tell people you device is better because everyone will know it. In the meantime do something helpful with those millions of dollars you waste on lawsuits.